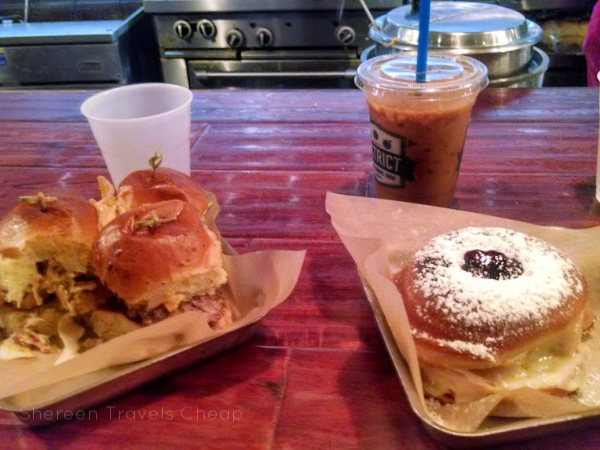 I just found out that New Orleans' delicious doughnuts and sliders have made a new home in Las Vegas. The Cosmopolitan opened a new food hall with two Portland staples, Pok Pok and Lardo, and District Donuts has also arrived. Now, I haven't been there yet, but it's on the top of my list for my next trip. Not only do they have dozens of amazing doughnut flavor combos, but fried chicken, sliders and breakfast sandwiches. I'm also dying for their Vietnamese coffee. 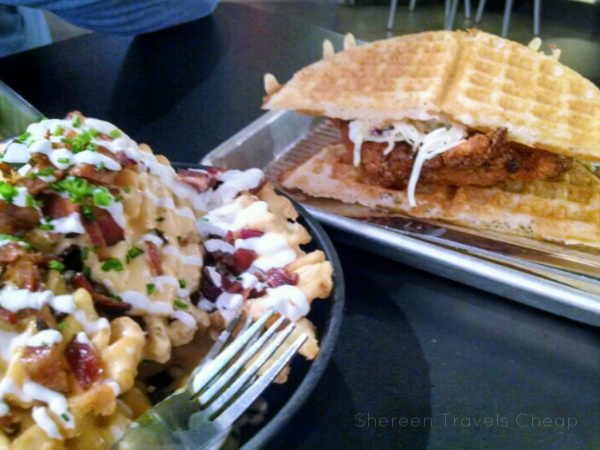 Are you a lover of chicken and waffles or just waffles or just chicken? This is the place to get any and all of those things. They also have homemade soda and Irish nachos (waffle fries covered in cheese, sour cream and green onions) and desserts I've never been hungry enough to eat. Follow them on Instagram and watch for the $5 Wednesday special. 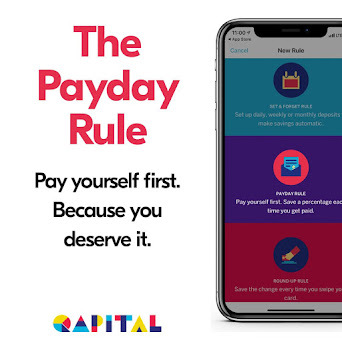 You'll have to show them on your phone to get it, but it's worth it for the savings. Avoid a huge mistake and skip ordering a bottled water, which will end up costing more than your whole meal. You can get free ice water there...or bring your own. 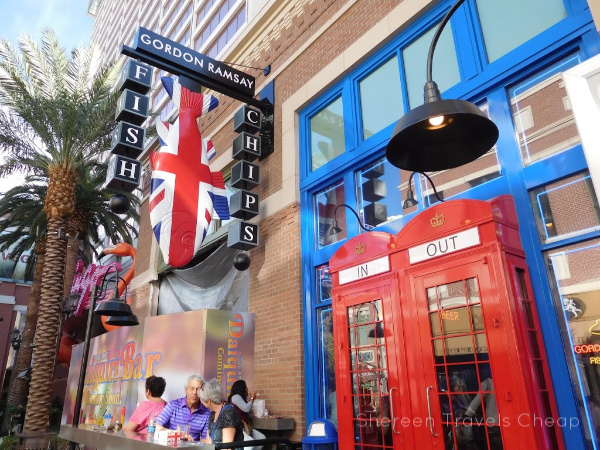 If you love a good fried fish (or chicken or shrimp), This walk-in counter restaurant in the Linq Promenade is for you. Ramsay knows fish and knows that Vegas was missing a huge opportunity by not catering to the budget crowd. A box of fish and chips costs under $20 and can feed two, plus your order comes with your choice of two dipping sauces. It's not everyday you can eat food from a Michelin-starred chef for less than the cost of a pair of shoes. This 24-hour restaurant inside the SLS serves up the tastiest, freshest breakfast (the banana pancakes are a personal favorite) all day, comfort favorites, and Chinese food. The monorail stops just steps away, so it's super easy to get to even without a car and you'll be dreaming about your meal until your next visit. Not only are there usually live musicians, but if you go during Happy Hour you can get a taste of all the awesome sounding things on the menu for way less than entrees from the main menu. Some of my faves were the BBQ chicken flatbread, gator bites and the brisket nachos. With all the money you save, you can also imbibe a little. If you like bourbon, the Beast of Bourbon is DE-li-cious. The sangria also comes in a pretty large size wine glass. It's difficult to find a good English pub in America, but this one does it and has delicious menu choices that will satisfy everyone in your party, and also satisfy your wallet. 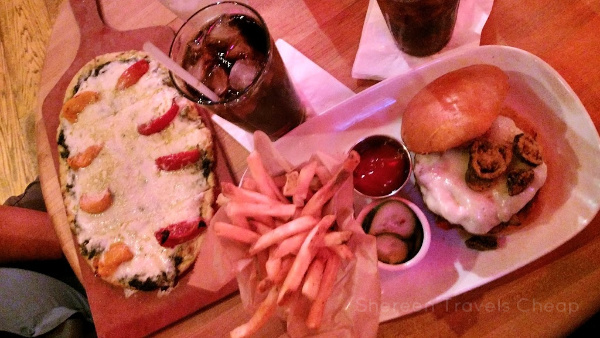 Crown & Anchor is in a cute little white building off The Strip on Tropicana Blvd. It's really easy to get to and the service is wonderful as well. 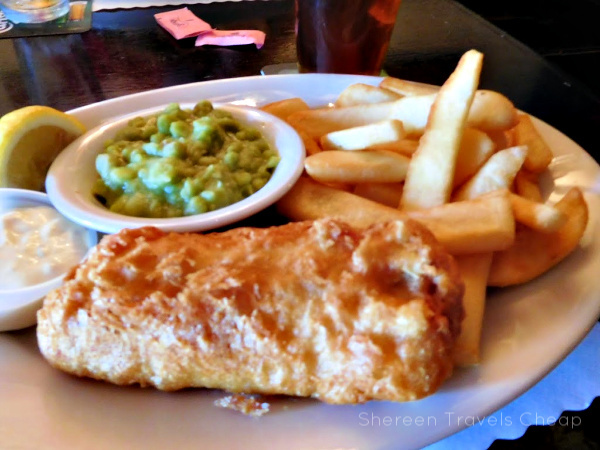 You can find all your British favorites, done really well. 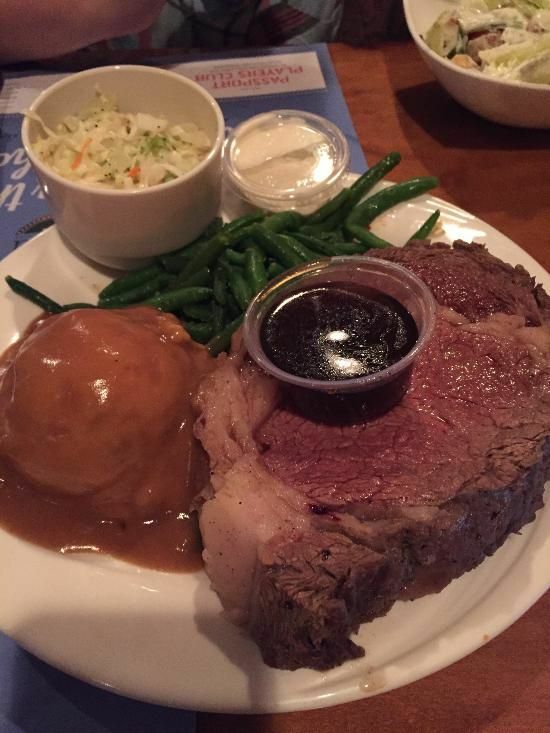 The plates here are also large, so you may end up taking leftovers with you if you don't share. If you do share, it gives you an excuse to have one of their awesome desserts. You may remember other posts about this Harry Potter themed coffee shop. The coffee is phenomenal, but the food is just as good, with names like the Siriusly Proscuitto Sandwich, The Tonks Turkey Italian and Overknight Bus Oatmeal, the menu is really pun-derful. This is another place I like to share food at, espeically the really filling waffle breakfasts. While not super cheap, but the ambiance and quality is worth it. 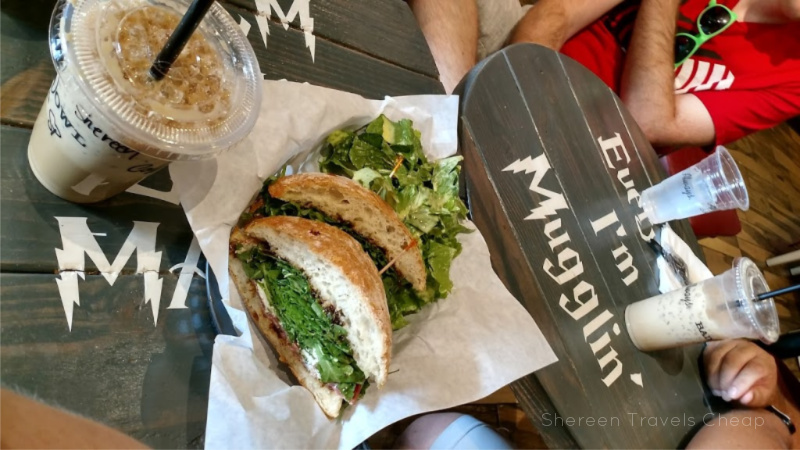 They just opened a second location in South Las Vegas, so now it's even easier to indulge in your Potterhead coffee dreams. When you hear that a restaurant shares a parking lot with one of the largest strip clubs in the city, you do a bit of a double-take. I mean, why? But I'm open-minded and have been to my fair share of strip clubs, so I'm willing to check it out. The owner of El Dorado is lovely and the chef came out to give recommendations. He's from Mexico City and gives an upscale twist to classic street foods. Your guacamole is fresh made tableside. 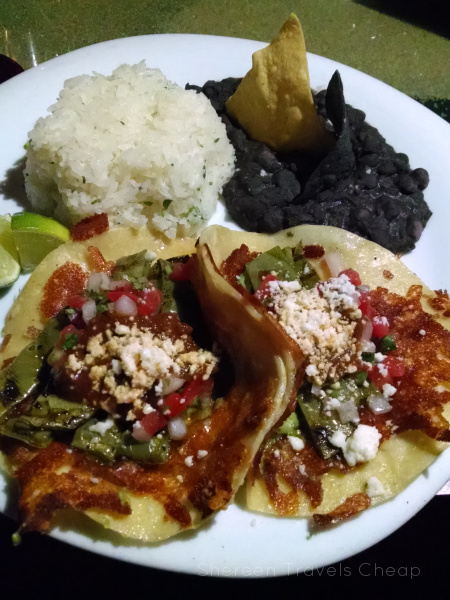 The cactus tacos and the lengua tacos are both to die for, and everything else I tried from other plates was delicious as well. Plates are huge, so you can easily share and order less, though you'll want to try everything once the first plate arrives, which I highly suggest should be bacon-wrapped shrimp. If you love sushi, then it's worth the drive into Vegas proper to visit this little hole in the wall location in a strip mall. 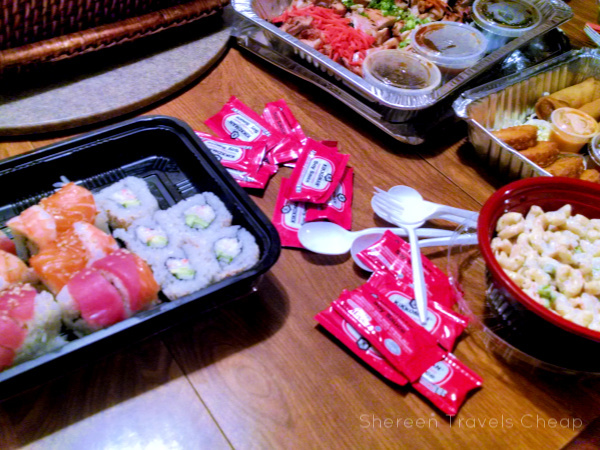 It doesn't look like much, but the sushi is made to order, it's affordable and the rolls are monstrous. I was hungry when I ordered mine and got a rainbow roll (that's 8 pieces!) and salmon nigiri, plus an order of egg rolls on the side. It was less than $15 and I couldn't finish it all...though I tried hard to get through it. It was some of the freshest sushi I've ever had, and I go out for sushi at least twice a month. We've ordered their family meal as well that comes with a ton of sushi and teriyaki and eight of us didn't finish it all in one sitting. Look for Groupons, as they are pretty regular for this location. Not far off the Strip, Ellis Island is behind The Paris (I probably wouldn't walk though, since this area warrants there to be continuous cops up and down the street). You can grab breakfast here for a mere $7.99 and even get steak and shrimp for less than $14. Sign up for the players club and get a sirloin for just $8 You don't even have to leave to gamble, because they also have a casino. If that's not your thing, they have a karaoke lounge and an on-site brewery. 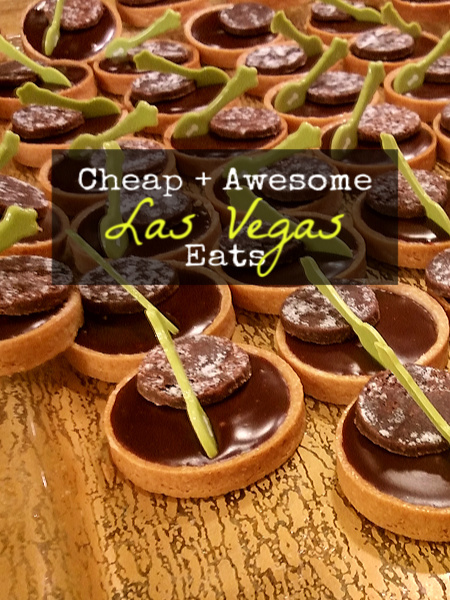 There are certainly a lot of options for dining in Vegas, but if you learn to mix cheap with expensive, you can have a pretty amazing trip. 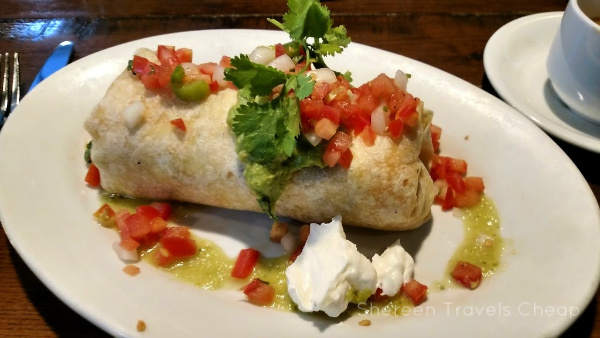 You might also find some hidden gems when you look for alternative dining. Everyone will point you to In 'N Out Burger or Whitecastle. I'd suggest trying one of the sushi burgers at the Linq Promenade instead. They're super filling and also easily shareable. What are your favorite cheap eats in Vegas?